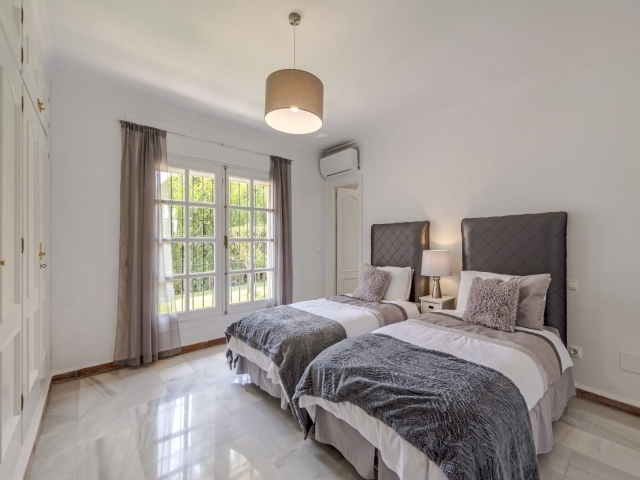 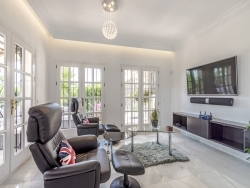 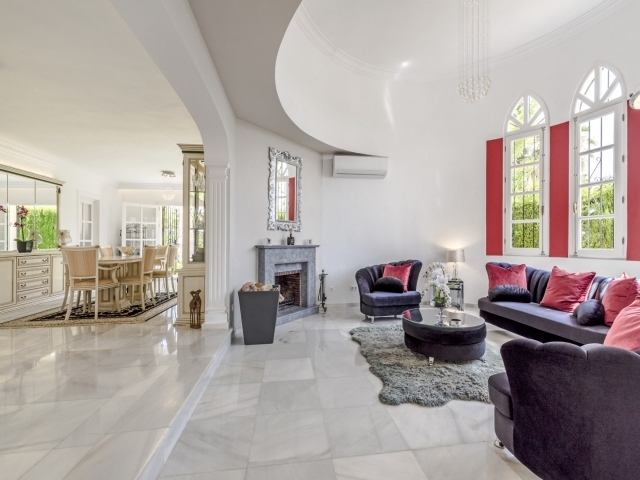 Totally reformed house located in The Golf Valley, one of the best areas Marbella can offer. 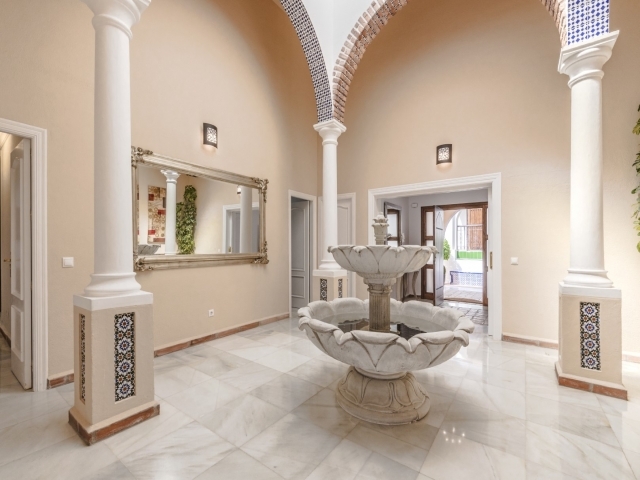 Andalucian style outside - contemporary/art deco interior, good quality materials. 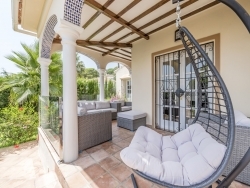 Impressive patio with it’s high ceiling welcomes you in this great villa. 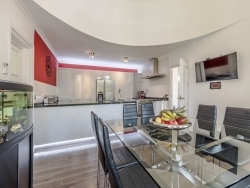 From the patio there is an access to 3 bedrooms and to living and dining room adjoining beautiful modern kitchen. 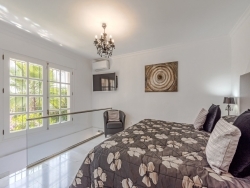 Master suite with walking in closet. 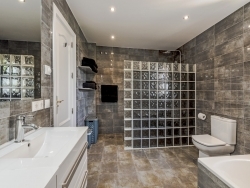 Two other bedrooms share a bathroom. 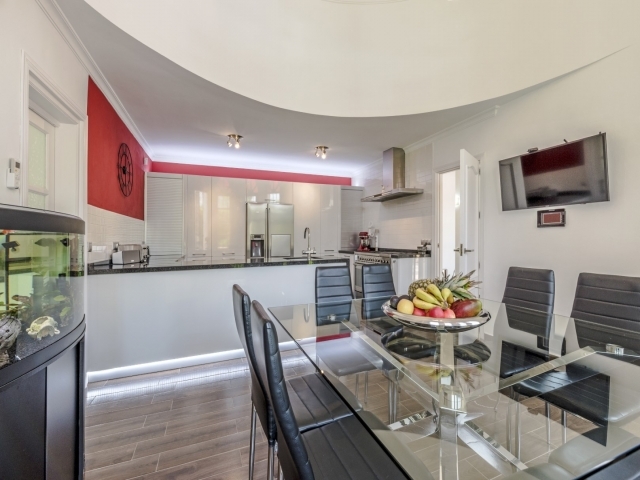 Living room and kitchen have high ceilings and tall,colourful art deco windows. The fourth bedroom with en suite bathroom can be used even as a guest or maid’s room due to it’s separate entrance. 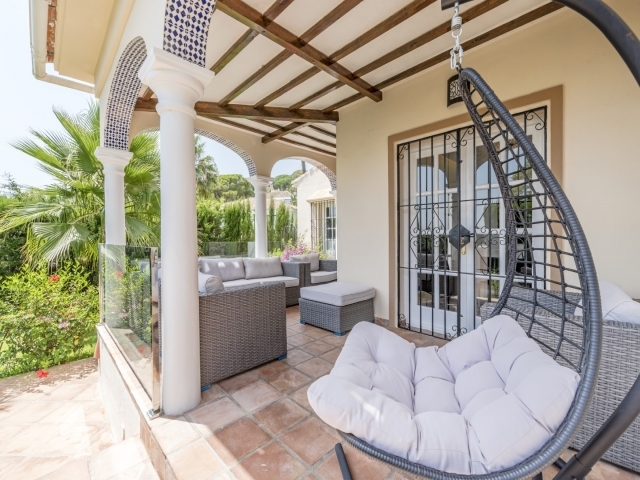 From the living room there is an access to a cozy, covered terrace offering garden and La Concha mountain views. 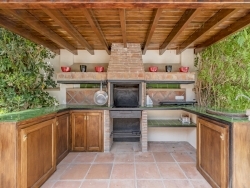 Large pool area has also a outdoor kitchen with BBQ and dining area. 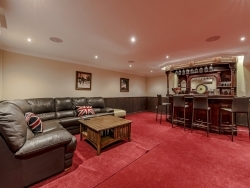 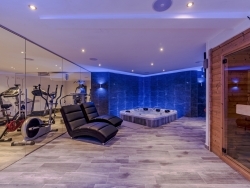 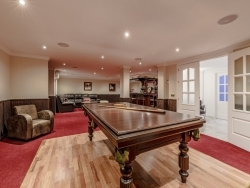 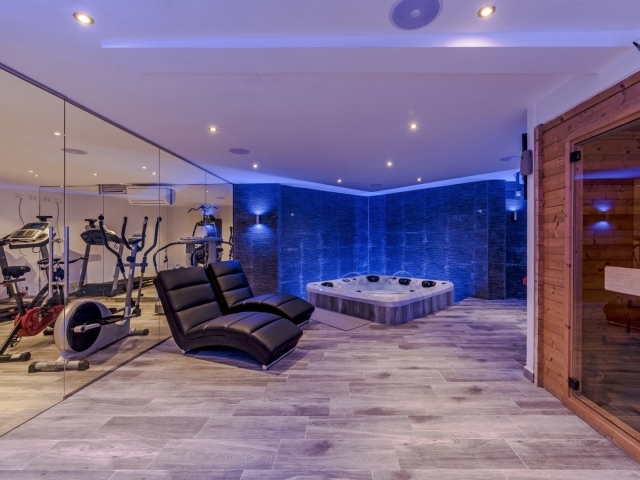 The basement is a world of it’s own: Large games room with pool table and bar, sauna, gym, jacuzzi - especially made for this house! 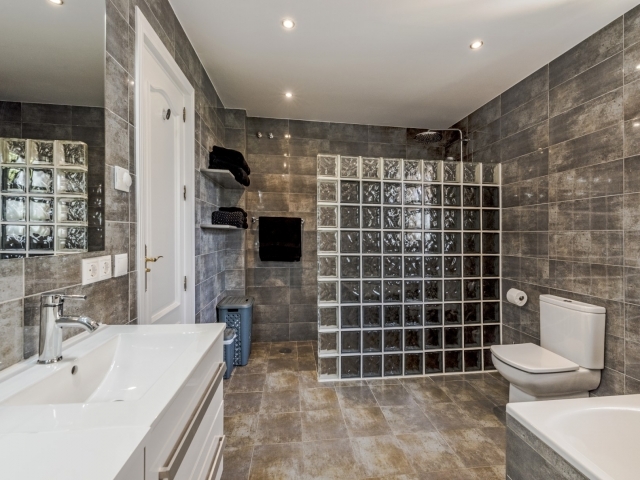 Shower and a cloak room. A fantastic SONOS Sound system to blow all the music lovers away! 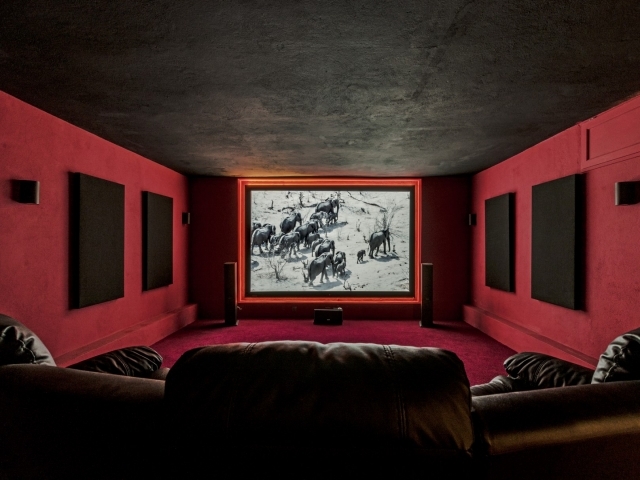 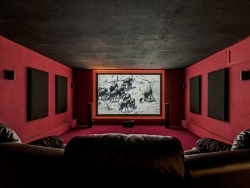 Last but not least incredible home cinema. Two car garage. 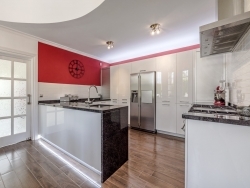 CCTV camara security system.This quality house is worth while to see!